A big thank you to everyone who joined in with the World’s biggest coffee morning at BBF. Congratulations to Anwar Miah who was the winner of the savoury category, and also to Inese Gailite, who was the sweet champion for the second year running!! Congratulations to both. Thank you to everyone who brought in sweet / savoury treats and especially to those who baked / cooked themselves, your efforts made the day a huge success. 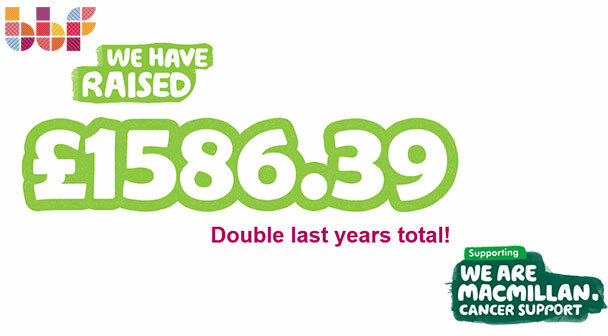 Most importantly, across the UK business, we raised a fantastic £1,586 for MacMillan which is a brilliant achievement and almost double the amount last year.